The details in this mandala were intense in some areas. I wanted there to be a fluidity in this mandala. I see so many things when I look at this mandala. I see a dog shaking its fur after a bath, I see a beautiful sprinkler in the spring and I see a fountain, bringing a park to life! I loved drawing this one, even though it took me just short of 6 hours to complete over two sessions. The white gel pen just makes the whole thing pop. This is Mandala #3 of my first Mandala Collection. You can see the first here and the second here. I hope you enjoy this series as much as I have so far. Don’t forget to look at the progression video found here on my YouTube channel! As always, your comments and questions are always welcome below. I love hearing from all of you! Stay tuned for the 4th in the series. 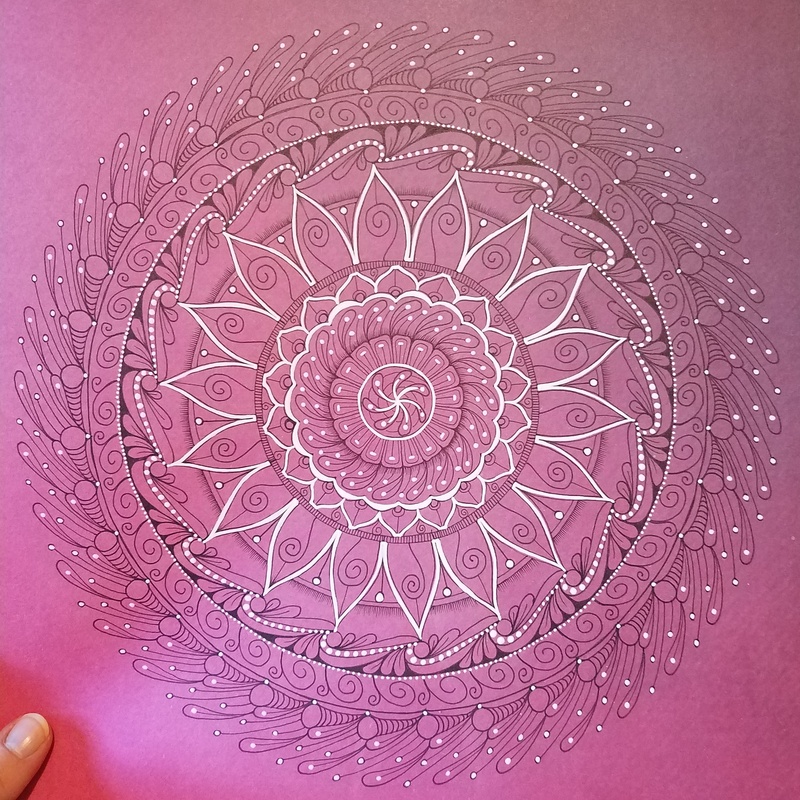 Third mandala in this collection.